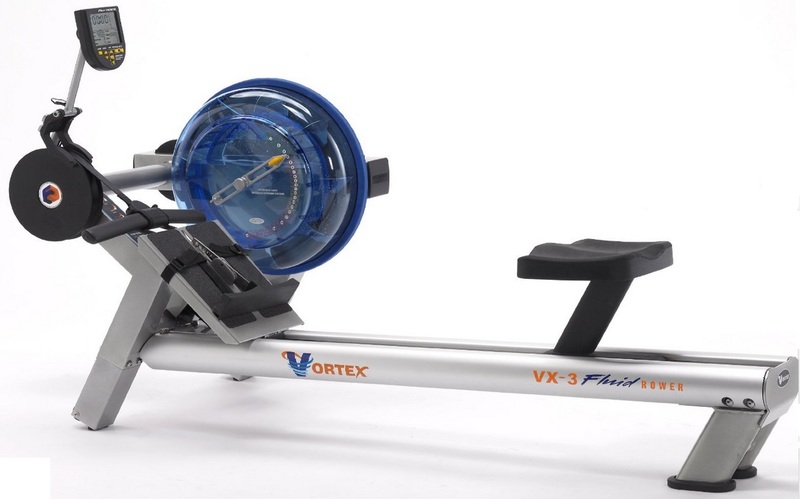 The First Degree Vortex-3 rowing machine wins a prize for one of the best brand names in our view. Vortex. Wow, just conjures up images of power, flow, motion and... well hopefully health and fitness :0) That's why you get one of these machines after all. First Degree Fitness have come from virtually no where, to being one of the leaders (if not the leader) in the highly competitive commercial rowing market, all in just 14 years. The strap line on their website states their models are a "Seamless integration of form and function". These are fine words, easy to say, but do they deliver on that promise? Well after trying a number of their rowers we can say... absolutely YES! The build quality is something else - it just looks and feels right. You get the impression that this will last for years and years, and as First Degree claim, with minimal maintenance. The hidden seat rollers inside the rail make for an exceptionally smooth and quiet ride - and also means minimal dirt and dust getting into the mechanism. The long rail also makes this a suitable model for even the tallest of users. 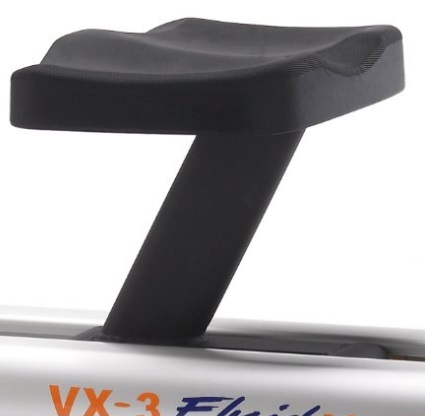 The other immediate difference between the Vortex-3 and most other rowing machines, is the height of the seat. The blurb says 'office height seat' and yes we'd have to agree. Why does this matter? Well if you've spent 40 minutes rowing at a blistering stroke rate, it's a lot easier getting up from this model than from another that has a low rowing position. The high position also, in some strange way, makes it feel like a quality machine. Moving on. The Vortex-3 had 20 levels of resistance and obviously uses water to give you something to work against. If you're not up to scratch on the different types of rowers, you can read of the advantages and disadvantages of them here. So fluid/ water models require adding or removing water to change the resistance levels. Not so with First Degree's Vortex and Evolution range. 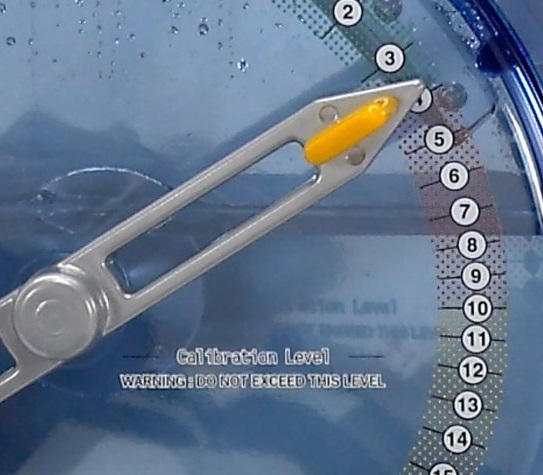 Their twin chamber water tank means you can select the level of resistance by sliding the lever - see photo on the right. This means you can easily switch during your workout without having to stop - see more about using resistance levels for training here. As you would expect with a machine like this, the handle is ergonomically designed for maximum comfort and reducing any risk of hand blisters. The angle also promises to minimize strain to the wrists and forearms. As you would expect, the display shows you all the usual workout data such as time, speed, distance, stroke rate, calories per hour, watts (your actual work rate) and a pacer (a comparison with your previous workouts - a bit like racing yourself.) The monitor has a built-in hear rate monitor that's compatible with all the major chest straps - shame they couldn't throw one in at this price. There is a USB port that can be used to store your previous 6 workouts so you can see your progress. The monitor is not PC-compatible (some brands such as Concept2 have PC software that lets you store and check your progress). However, the monitor does allow for interaction with online systems on their website including Fluid Coach and Web Racer. The Coach function stores your performances and let's you choice from a selection of screens using a tablet to show your progress. The Racer is an online racing system that lets you race against other members of their service any where in the world - now there's something to motivate you! And if all that wasn't enough, it comes with 6 pre-set programs including a race boat and interval training. Also see - what to expect from a top dollar model here. Yes it's a significant amount of money to spend on a home fitness equipment, but you get one heck of a rowing machine for it. We challenge anyone to row on a Vortex-3 and not be anything less than amazed. It's an absolute joy to use and difficult to get off once you've started - we really didn't want to leave the gym and go back to our lesser machines at home :0/ And when you look at the added functions such as the Web Racing and Fluid Coach, it really does make it a machine that's hard to beat. So kudos to First Degree Fitness for taking the rowing machine to the next level and thus throwing down the gauntlet to Waterrower and Concept2. We're now saving like mad here to get one of our own. 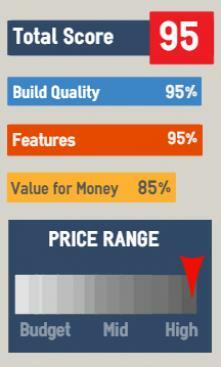 Some wanted to give it a 100% score - but then where do you go from there? The rowing position is very comfortable. Otherwise, there very little else not to like! 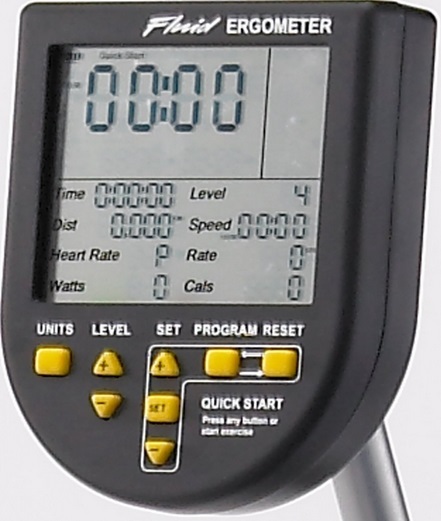 If you're not prepared to spend this amount on a rowing machine, you could take a look at First Degree's Neptune, it's less than half the price but has a lot to offer. For around half the price you've got a great choice of either a Waterrower (if you're wanting a fluid/ water machine) or the excellent Concept2 E or LifeCore R100.